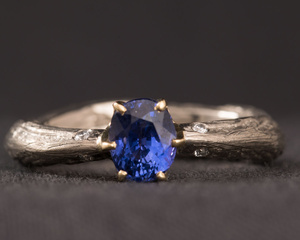 This Sapphire is a wonderful example of nature’s abundant richness in surprising us with delightful marvels. 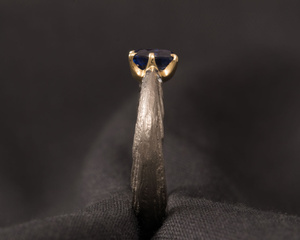 We decided to set the stone in a six claw Yellow Gold setting to underline and expose its colours and beauty. 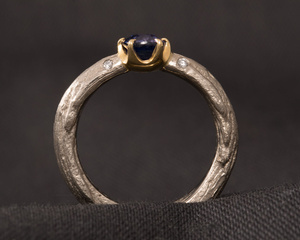 The bold textured White Gold ring adds contrast and an organic, somewhat archaic feel to the piece reminiscent of nature and where the story of this stone may have begun. The texture is created by using an ancient casting technique. 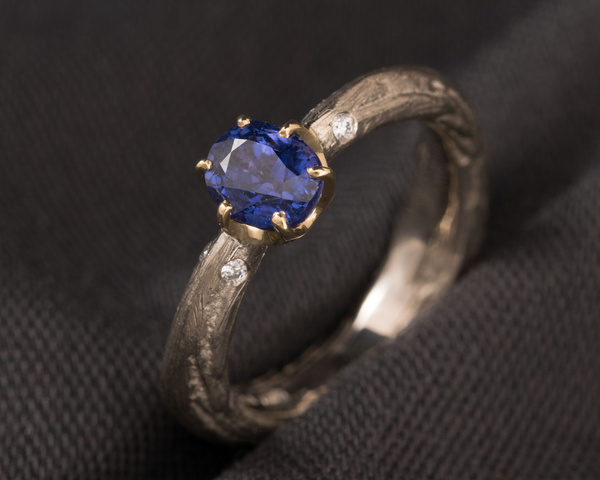 If you are looking for an unusual and adventurous Engagement ring this is perfect for you.